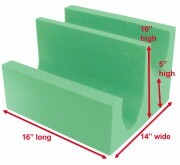 10"H x 14"wide x 16" long cross lateral leg block used for leg imaging studies. 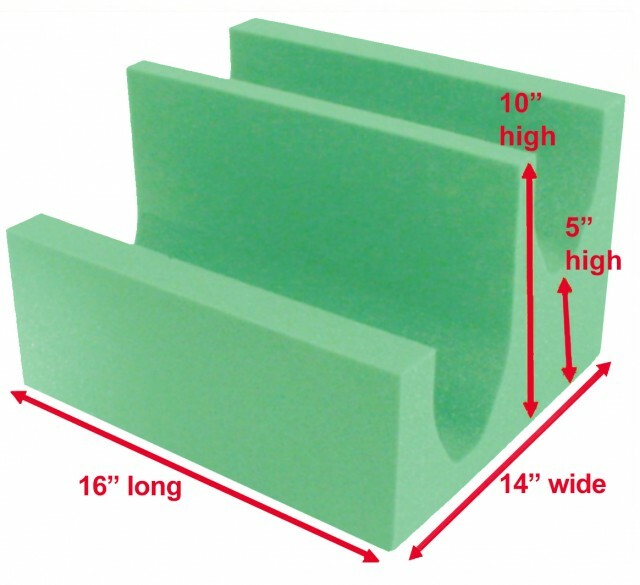 New coated light green polyurethane foam. This new proprietary mixed medical grade coating, when spayed, creates a unique skin membrane that is durable and easy to clean.Surface is resistant to blood, Betadine, barium, alcohol, oils, and other fluids. This product is radiolucent. Anti-microbial: antibacterial and antifungal. Self deodorizing. Meets the new California 2015 Technical Bulletin #117-2013 standards. New Fresh light mint green coating.